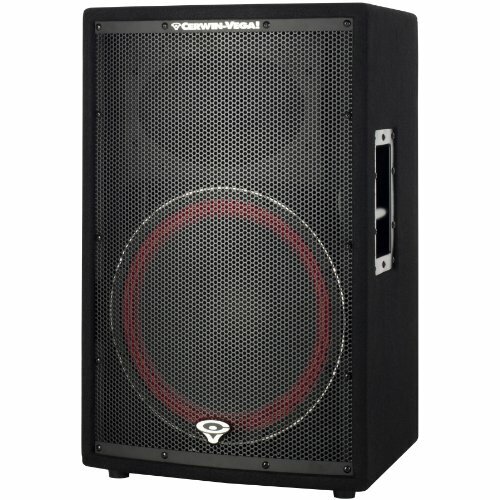 Cerwin-Vega CVI152 1000-Watts 1 x 15 Inches Passive 2-Way Loudspeaker by Cerwin-Vega at IGWT. MPN: CVI152. Hurry! Limited time offer. Offer valid only while supplies last. CVi-152 15'' Passive Portable PA Speaker. Probably the most common configuration for front-of-house speakers is the 15'' two way full-range enclosure. CVi-152 15" Passive Portable PA Speaker. Probably the most common configuration for front-of-house speakers is the 15" two way full-range enclosure. This is Cerwin Vega's most affordable offering in that category. The CVi-152 is a portable, full range, fifteen-inch 2-way main loudspeaker system designed for live music and playback applications. The CVi-152 features a high power, cast frame, fifteen inch transducer with a 2.5 inch voice coil to handle the low and low/midrange frequencies and a 34mm PETP (polyethylene terephthalate) diaphragm compression driver mounted to a 80 H x 50 V hemi conical horn for smooth, accurate on and off axis high frequency performance. Advanced crossover network designs are employed for coherent cross-band summation throughout the coverage pattern.